Walk a little way along the massive Trans Pennine Trail to find a country house still standing and one long demolished between two villages in South Yorkshire haunted with the echos of railways past. Car parking is best at the Goldsmith Centre on Sprotbrough Road. From here, cross Sprotbrough Road, turn left and walk towards the old railway bridge. A "MM" stone marks the way on the right. Go down the steps and turn right onto part of the Trans Pennine Trail from Liverpool to Hull - which was a former railway line in use from 1908 until the late 1960. Follow the Trans Pennine Trail to the next waymark stone. Turn left here and pass Newlands Park Playing Field on the right. Here, the first sight of Cusworth Hall is visible in the distance. Carry on down this path, past of the old Gamekeeper's Cottage - once part of the Cusworth estate - and several fishponds. Enter Cusworth Country Park through the gates. 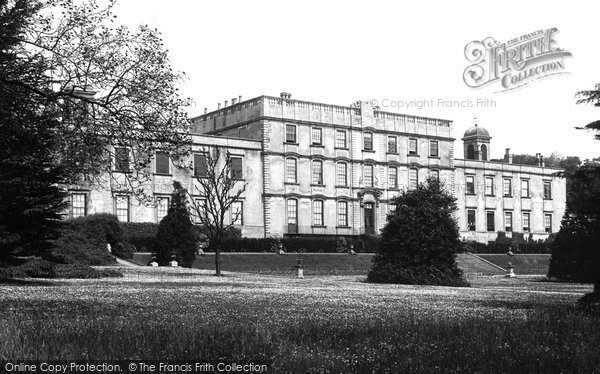 A detour could be made to the right to the Museum of South Yorkshire Life, which is based in Cusworth Hall. The path from the hall joins back to the main walkway heading towards the far side of the park, at the bottom of the hill. Continue right at the bottom of the hill. Long Plantation is on the left and walk diagonally across the field under the motorway of the A1(M). Once at the far side of the motorway, looking provides more views of Cusworth Hall and the panorama of Doncaster including the impressive St George's Church. Turn about around and walk towards the next waymarker. Then turn left and cross the field until Melton Road is reached. Turn right, cross the road and turn left just before the Ivanhoe public house. Enter the cricket ground, but walk around the pitch to reach the stile on the far side. Turn left onto Thorpe Lane towards St Mary's Church and then turn left along Park Drive. Follow the waymarked path to the footbridge across the A1(M). At the other side, carry on with the view over the Don Valley through the field, past houses to the left. Follow the edge of the field back towards the Trans Pennine Trail, and turn left to walk back towards the old railway bridge at Sprotbrough Road. Information on the history of the Hall and details about visiting the park.